I’ve always wanted to make a difference in the world, so when I set out to learn all about agriculture in college, I felt that learning how to grow food was a great place to start. And learn I did…all about the conventional ways of doing things. The more I studied, the more disillusioned I became. How was any of this way of doing things sustainable for our fragile earth? I was young and naive, so it took me a few years to work it all out and realize that there was a better way. It was around this time that the organic gardening movement was really starting to get an upswing and as quickly as I could I transitioned to a mindset of wanting to join hands with others who also saw the importance and joy of keeping food local and turning backyards (or front ones!) into organic vegetable gardens. Together we can make the difference that this world needs! So, I poured my energy and time through the years into experimenting with plants and soil, even as I’ve learned that I’m not an expert, but a humble student that the garden has many lessons for. I have also figured out that not only are organic garden vegetables nutritious and delicious, but that this type of gardening is truly good for your soul! So join me as I give you my top 5 Tips to help you be successful in creating an organic vegetable garden that you can be proud of! These can be made of wood, stone, brick, tires, railroad ties…or whatever else you can think of. But they are so key to helping you gain control of bugs and weeds! They keep your garden surface elevated so that it is easier to reach. They limit the ground space, which helps you keep weeds in check, either through pulling or preventing. Bugs will find your plants, but you can also spot them faster and get to them before they do as much damage. 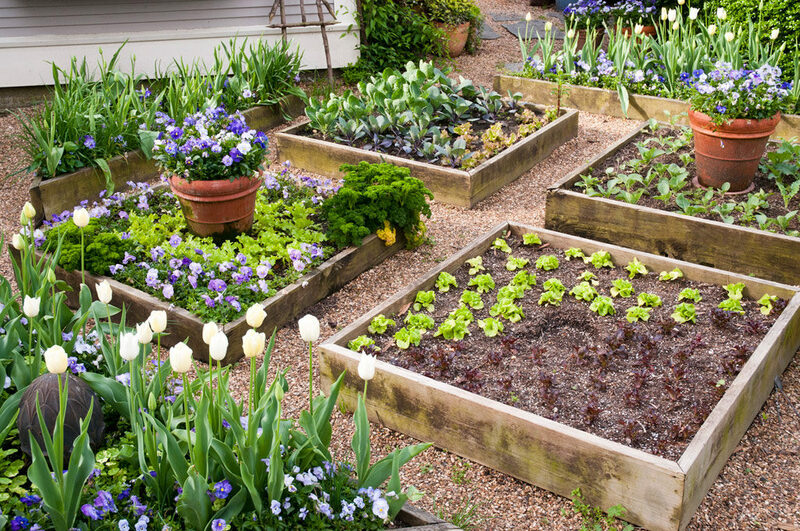 Organic gardens that are ground level quickly become overwhelming, so do yourself a favor and lift them up! This is basically a method of turning your kitchen and garden scraps into rich, dark humus (black soil) that you then layer like a lasagna on your garden beds. 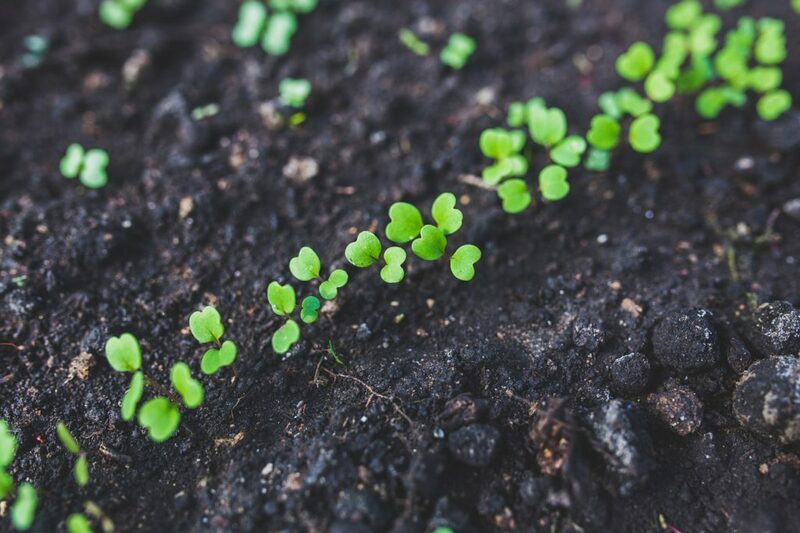 Almost any organic matter can be turned into compost (there are some exceptions) and this is the most fantastic way to make your soil nutrient dense, reducing your need for fertilizer. 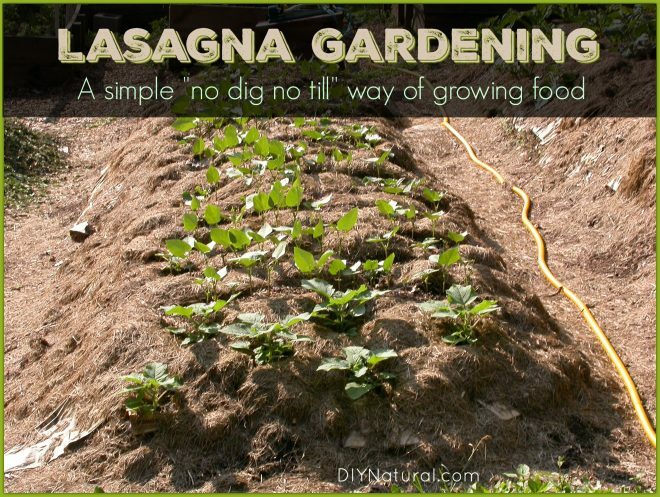 When you make a “lasagna” garden, there is no need to till the soil. It is naturally aerated and won’t compact if you don’t drive over it (see raised beds, above!). Don’t forget to test the pH levels of your garden periodically so that you can amend the soil when necessary. These are crucial for giving you a wonderful selection that you just can’t find in hybrids. 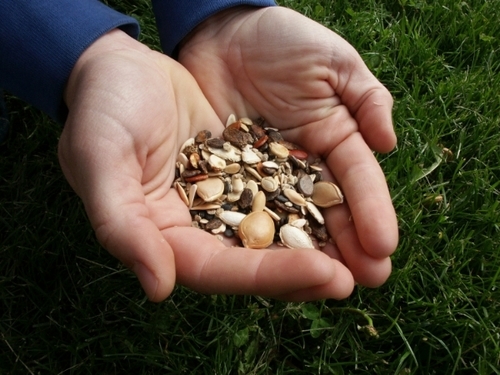 But the best part is that you can save the seeds from your harvest and have unlimited supplies of free seed for future years. Look for varieties that have properties that are important to you… Do you want lettuce that won’t bolt early? Or indeterminate tomato plants that continue to put on new growth as the season goes on? Are you most interested in having larger fruits, early onsets, better flavor, or disease resistance? Whatever aspects you are looking for in the endless heirloom vegetable varieties out there, you will surely find it! 5: Entice the Beneficial Bugs! Besides weeds and disease, one of the worst downfalls of a poorly executed organic garden is the devastation that can be caused by pests. There are some “natural” chemicals (such as neem oil) that can applied to help control them, but oftentimes the most effective method is to attract the insects that help your garden thrive. As an example, if your tomato plants are teeming with aphids, ladybugs see them as a food source and are your best rescue! There are many other such “good” bugs, such the praying mantis, lacewing, and parasitic wasp, plus so many more! Besides pest eaters, you also want to entice the pollinators… such as bees and butterflies! As an organic gardener, it is important to know your insects and know which ones are your friends! Well, there you have it…my 5 top tips to help you succeed as you grow an organic garden that is good for your soul!